She is the mother of two happy and successful children (one of whom is my best friend from college). She completed her PhD while raising her kids.She is a successful psychotherapist and works with both children and adults. She travels all over the world giving talks and learning from others. She is a captivating speaker.She’s the Founding Director of the Institute for Infants, Children & Families at JBFCS, a NYC not-for-profit organization. The mission of the Institute is to reach underserved, troubled kids ages 6 and younger before they begin to fail in learning and life. She founded the New York Zero-to-Three Network. 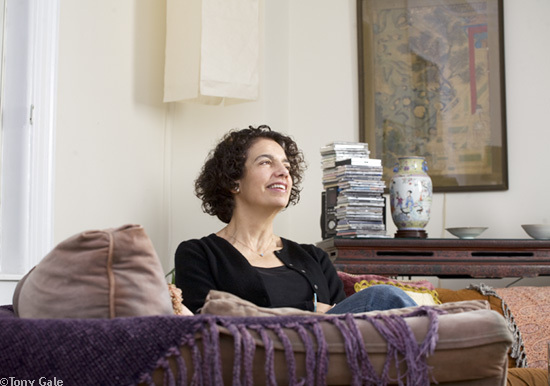 She is the Founding President of the Abraham J. Heschel School on the Upper West Side so that her kids and others could learn that social responsibility is the center of a Jewish life. She has accomplished so much, and yet she is as effervescent as a young school girl. She has a wonderful, rich laugh, and sometimes, if you’re lucky, she will let out a snort mid-laugh. She finds the humor in nearly everything. She can occasionally be found in Korean restaurants with a bra on her head. She is free-spirited and loves to dance and sing. She loves adventures and doing things that are new and challenging to her, including camping and kayaking in Alaska. She is an iPhone genius! She is in awe at the world and grateful to be alive, and when you’re with her, you can’t help but feel happy to be alive. She inspires me and is the kind of woman I want to be when I grow up.